Retail business is changing rapidly, and most retail industries - including our industry - have struggled to adjust. This is the main reason that MJSA has launched the Jewelers Do It Better initiative. 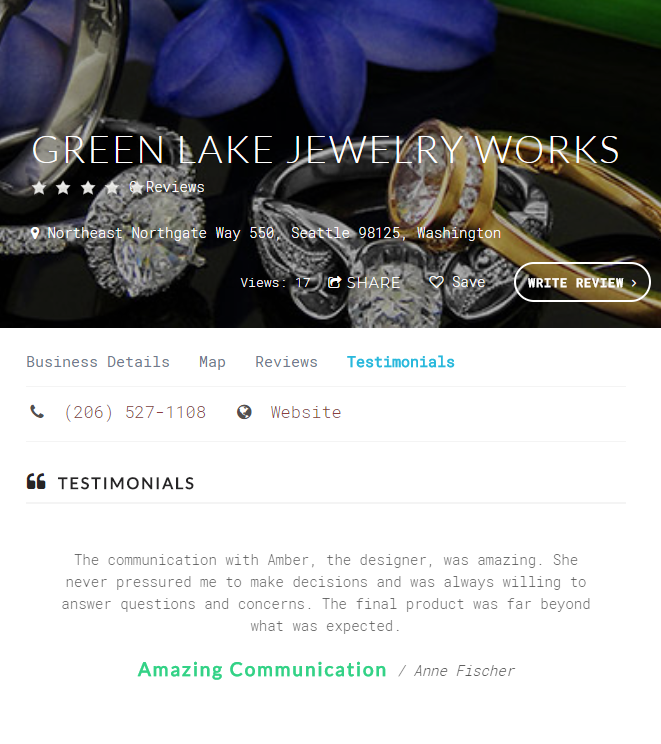 To help inform consumers about the many types of jewelry and jewelry-making, and drive consumer purchases of jewelry. MJSA welcomes all jewelry industry members to join us, and we hope you will. But we felt it was important to be more inclusive in this particular effort. From our earliest days, MJSA has been the advocate for and association of makers of jewelry and jewelry supplies. Yet, without a healthy retail segment, the makers suffer. So we we invite all jewelry retailers to create your own free promotional page on this site. MJSA is committed to promoting Jewelers Do It Better to consumers, and also to sharing our digital marketing learning and experiences with you. Click the image below to see an example of a fully-set-up web page. If your store is already listed in our directory, you can manage it. If you are an MJSA member, and you don't see your business in this listing, please call 800.444.6572, extension 3024, and ask for Travis. We'll fix it for you! Go to the "Find a Jeweler" menu. That's the same menu consumers use to find a jeweler. Search for your store. You can use any of the search criteria listed below the map. When your store listing appears below the map, click "View." When your store listing appears, scroll down the page. On the right side you will se a box that asks, "Is This Your Business?" Click MANAGE MY LISTING. Complete the CLAIM BUSINESS form. If you already have already registered for this site, please use the same email address that you used for your registration. What Can You Do With Your Promotional Page? 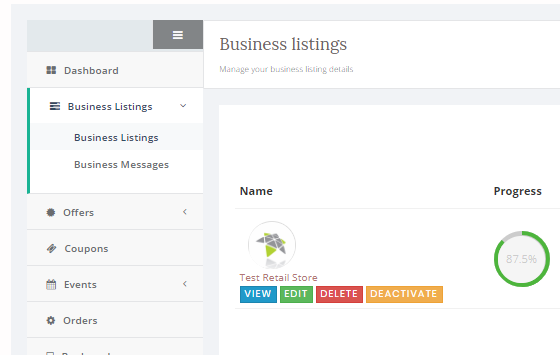 If your store is not listed already, you can create a new listing by going to the Business Dashboard. You can also manage your listing, add new offers, events, and promotions from here. Getting to the dahsboard is easy. 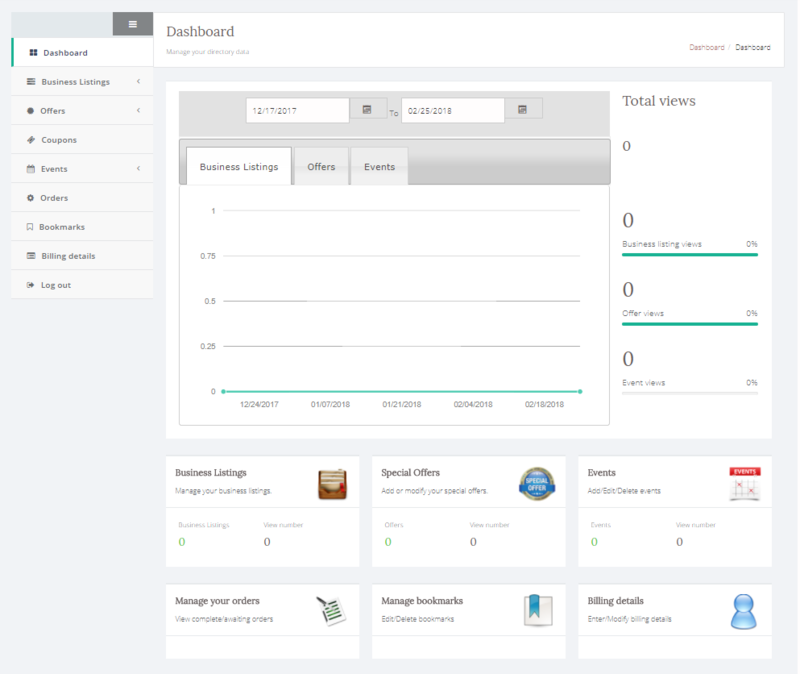 Just scroll down to the menu in the footer of every page on the site, and click BUSINESS DASHBOARD. 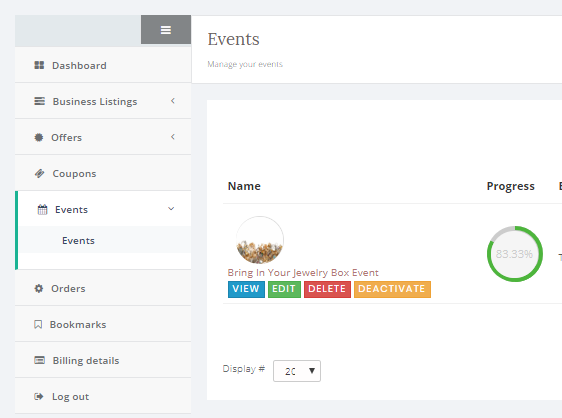 From the dashboard, you can manage your store presence, and create offers and events. You can also see how many consumers have viewed your page. When you click BUSINESS LISTINGS in the left-column menu, you will see sub-menus for BUSINESS LISTINGS and BUSINESS MESSAGES. 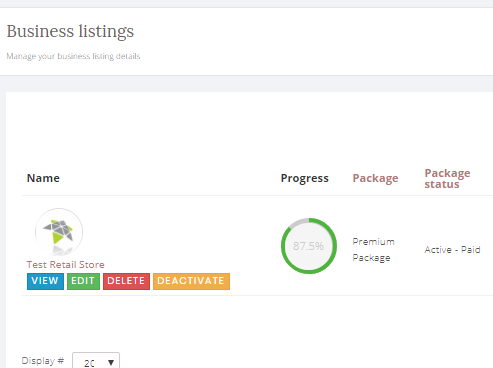 In the BUSINESS LISTINGS sub-menu you can update and manage your store listing. Add as much detail as possible, to engage and inform consumers. There are different levels of promotion available in this site. The Basic package level is free to all jewelry stores. Additional levels of promotion are available as part of your MJSA membership. Click the image to view package details. 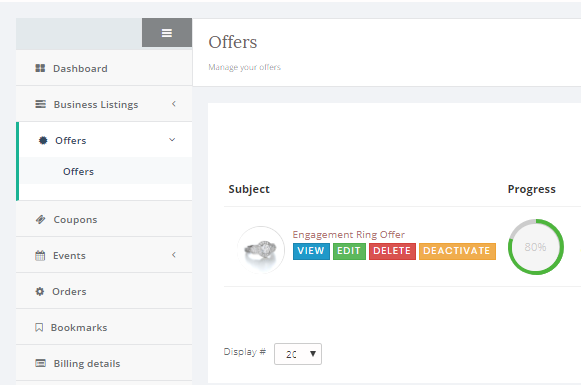 You can create and manage promotional offers for your jewelry business. From coupon promotions to selling individual items, there's a lot you can do. Just click the ADD SPECIAL OFFER button to start creating some excitement. 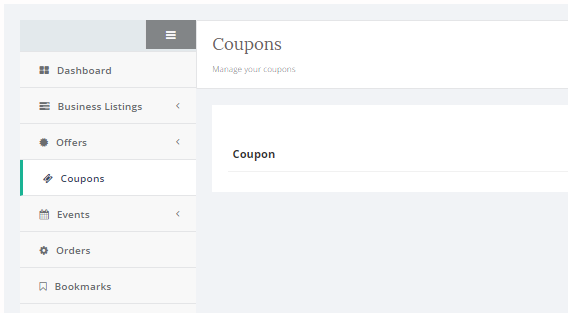 If you create a promotion that includes coupons, this area will show which coupons have been generated. You can also create and promote events. The events are designed to be shared on social media, and the Jewelers Do It Better team will be actively promoting all partner events, offers, and store details through our digital marketing.